Ritual Remnants’ is an exhibition by snakebeings using leftover objects, failed electronic projects and discarded materials from the process of designing and making an electronic instruments which combines Gamelan musical structures with the rhythms of Morse code. The objects were made during the art science residency in Port Chalmers between March and September 2018. This entry was posted in 2018, New Zealand and tagged art, Otago, Port Chalmers, Snake Beings. Emit Snake-Beings – founder of the Hamilton Underground Film Festival, composer, musician and electrical shrine maker – is a New Zealand / British experimental filmmaker and musician who has produced over 40 independently released film soundtrack CDs and made a number of short experimental and narrative films in Spain, U.K. and New Zealand. This entry was posted in Music, New Zealand, video and tagged alternative, art, experimental, New Zealand music, Snake Beings, video. Out now!! the new collaboration with even more legendary & underground NZ artist Snake Beings. 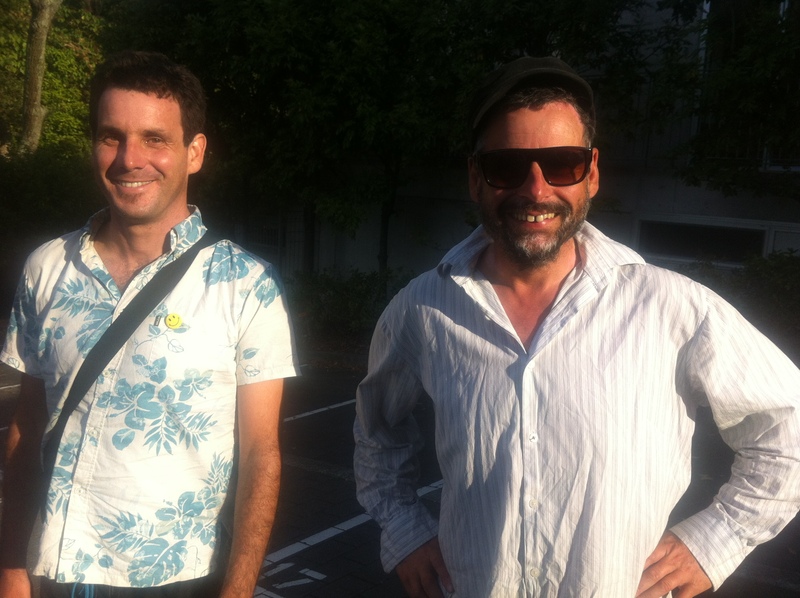 Ngumbang is the first collaborative album by two of New Zealand’s more unusual artist/musician/filmmaker/ethnomusicologists – performed on guitars, bass, banjo, percussion, saxophones, clarinets, harmonicas, synthesisers, Okinawan sanshin, ukulele, violin, loop pedal, piano, drums and spoken word. The album was recorded in and near Auckland, New Zealand in 2014–2015 and includes live performances at Vitamin S and the Audio Foundation. This entry was posted in 2015, Music, New Zealand and tagged 2010s music, 2014, 2015, acoustic guitar, alternative, Aotearoa, Auckland, Audio Foundation, avant-garde, banjo, bass, clarinet, Dave Black, drums, electric guitar, electroacoustic, experimental, Free improv, guitar, harmonica, loops, New Zealand music, noise, percussion, postpunk, sanshin, saxophone, Snake Beings, spoken word, synthesiser, ukulele, violin, Vitamin S.
At the time I lived in Perth, WA. And Australia Day music video from an unfinished Aussie album… enjoy! This entry was posted in 2015, Australia, Music, video and tagged Aussie, Australia, bogan, Cylvi M, Dave Black, electric, electric guitar, nat da hatt, New Zealand music, Perth, rock, Snake Beings, video, Western Australia.